We do Ministry Safety Inspections! Does your enclosed or open trailer need its yearly safety? Bring it down to us – we’ll do it for you! 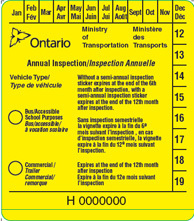 Once its passed the inspection, a safety sticker will be put on the trailer that is good for one year.